This morning Natania’s wonderful staff prepared traditional, tasty, and lovely breakfast foods that we enjoyed on the patio overlooking the garden and beach. 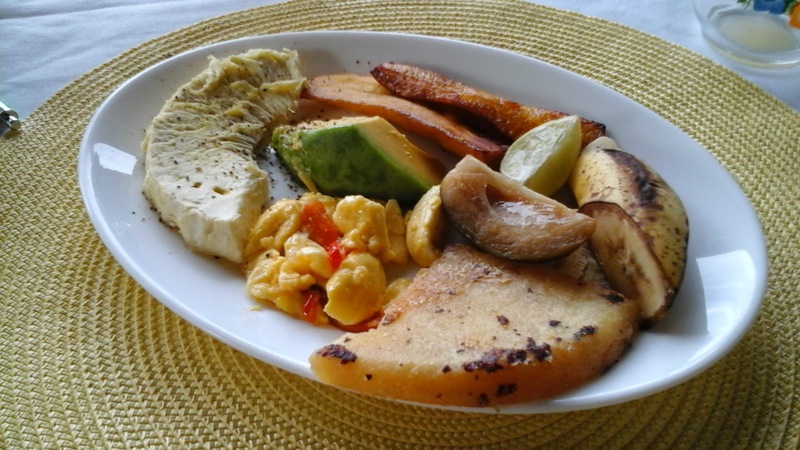 Ackee, breadfruit, nesberry, pears (avocados), plantains, banana – which we bought from a stand on the road back from MoBay yesterday – plus bammy, fresh OJ, and water flavored with cucumber. Soooooooo good!